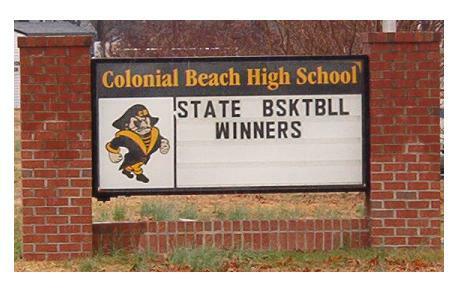 Colonial Beach Basketball team are State Champions! 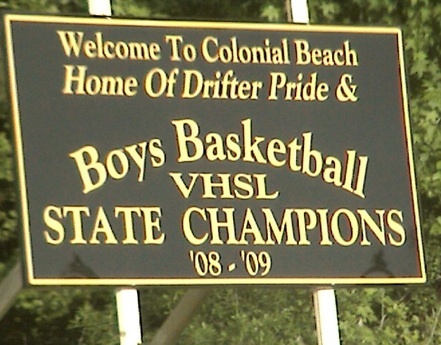 For the first time in our High School's history, the Colonial Beach basketball team known as the Drifters became the State Champions of the VHSL Division 1, Group A. Quite a feat for the 5th smallest high school in the state, with a school population of just 230. The typically superstition-laden Friday the 13th proved to be a lucky day. It was then, at 3:45pm at the Siegel Center on the campus of Virginia Commonwealth University in Richmond that our own Colonial Beach basketball team, the Drifters met up with the Mustangs of Eastern Montgomery High, and won the game with a score of 77 - 75. For those who missed the game, it went a little like this: Tristan Carey scored 37 points and hit the go-ahead basket with just over 20 seconds remaining. 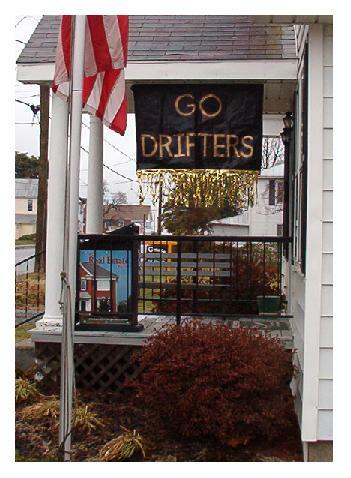 He added 16 rebounds and four steals and Dylan Farinet had 17 points, 19 rebounds, four assists and four steals as the Drifters (27-5) claimed their first-ever state championship. This fine team outrebounded the Mustangs 52-31 and nabbed 25 offensive rebounds. Carey’s basket gave the Drifters a 74-72 lead, then Farinet hit two free throws with 16.2 seconds left. Adam Sisson’s 3-pointer brought it to 76-75, but after Farinet made one of two free throws, Brad Wooten of the Mustangs missed a 3-pointer at the buzzer. On Sunday, March 15, a big celebration for the team was held at Fat Freda's restaurant. Gift certificates were awarded; one for each player, coach and the team's manager. A DJ was hired, and family and friends donated both their time and yummy desserts to make the event even more special. 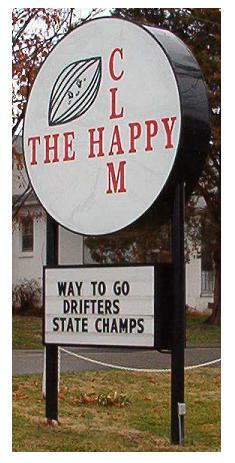 Those desserts were probably equally as sweet as Friday's victory over Eastern Montgomery.